Embraced by the Entoto Mountains and sitting at a whopping 2,300m above sea level, Addis is the 4th highest capital in the world, and it is certainly soaring to greater heights with an urbanistic push which saw the opening of an intra-city light railway in 2015 and the establishing of Bole as a trendy hub near the airport. 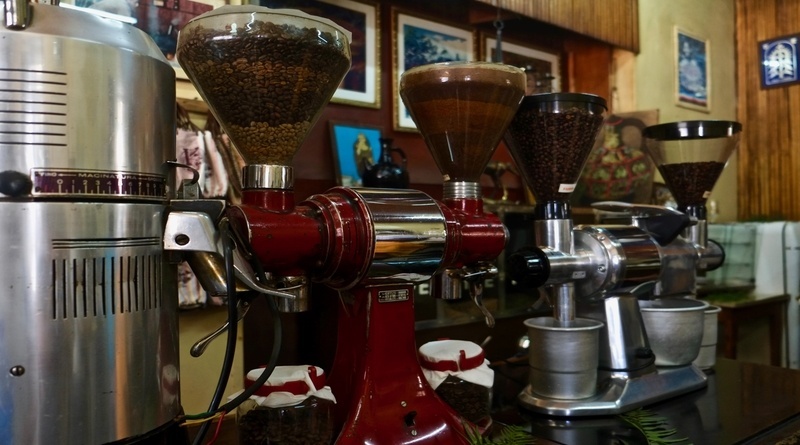 Begin your day at Tomoka on Wawel Street, one of the city’s oldest coffee shops. Don’t be deceived by its derelict look: inside, the elegant wooden bar displays old scales and coffee grinders, and the giant lion’s head symbol of the brand roars above the steam raising from the coffee machines. You’ll taste the most excellent espresso (let an Italian tell you!) and tick a few gifts off your list with beautifully packaged coffee, either ground or in beans. Next, take a stroll through the Italian built Piazza district, which hosts some of the most iconic landmarks, including Menelik II Square and Adwa Square. Both commemorate pivotal moments in the history of modern Ethiopia. Menelik II is often credited with unifying various territories and tribes into one encompassing country, though not without violence, in the late 1800s. During his reign, he brought sweeping improvements to infrastructure and modernized the country, as well as successfully pushing the Italians back at the battle of Adwa, earning Ethiopia the badge of honour of being the only country in Africa that was never fully colonised. Jump in a blue taxi and expect some bargaining in order not to be ripped off too much, and head to the National Museum of Ethiopia, where you’ll witness the bones of what is perhaps the most famous Ethiopian ever: Lucy, the A. afarensis hominid discovered near Hadar in 1974, where she had been waiting to become world-famous for 3.2 million years. If you’re a true history buff, grab an English-speaking guide who, for a small tip, will definitely improve your experience. Spend some time in the ancient Ethiopian section, to learn about the Aksumite reign, before checking out Afewerk Tekle’s portrayal of the meeting between Solomon and Queen Sheba, which is said to have sprung into the Solomonic Line with their son Menelik I.
It’s time to cool down with a tasty vegan buffet at Taitu Hotel, the most ancient in the country, established 1898 and bearing the name of Empress Taitu, wife of Menelik II. For under $5 you’ll taste quality Ethiopian food in town and enjoy a cold Habesha beer in their gardens. In the afternoon, head to Holy Trinity Cathedral, one of the most important religious spots in the country. Aside from the sheer magnificence of the building, the church provides a glimpse into very important historical periods, as it hosts the tombs of Haile Selassie and his wife, Empress Menen Asfaw, as well as the graves of many martyrs and rebels who fought the brutal communist regime of the Derg in the 70s and 80s. 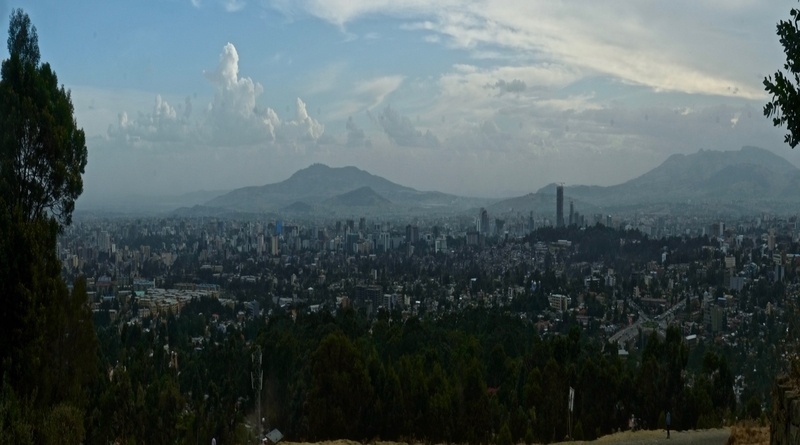 Finish the day with a sun downer at Face of Addis, a short way up the mountain, which provides one of the best views of Addis. If you have time, head down the hill to Yod Abyssinia, the number one place for traditional food, music and dancing, where you’ll pay $7 for a national fasting dish featuring a mix of the best Ethiopian food enough to feed three people! Copyright © Tourism Guide Africa. All rights reserved.